This Original Frank Hodgkinson Etching was limited to 75 only and released in the year 2000. Frank Hodgkinson has captured Sydney harbour in a timeless manner. 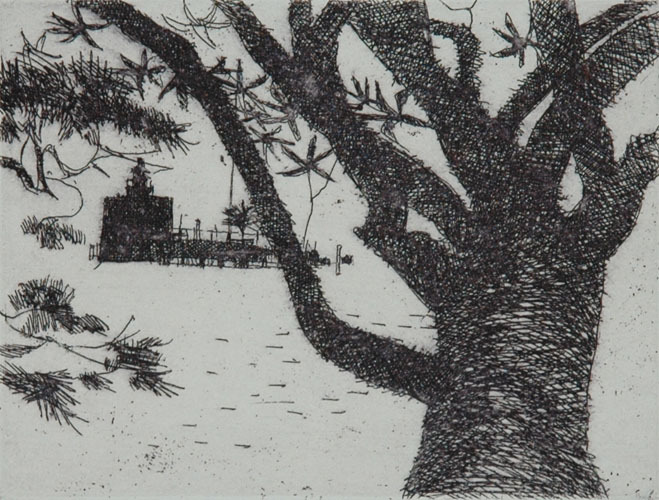 This fine art etching print titled “Pinch Gut Sydney Harbour” is available at Etching House.